Blair was spotted dining with Jared Kushner, the incoming president’s son-in-law and trusted confidant, in New York this week. The encounter fueled speculation – denied by Blair – that he could be taking on an advisory role in the Trump team. Kushner is married to the billionaire businessman’s daughter Ivanka. The 35-year-old real estate mogul, businessman and publisher played a significant role in Trump’s campaign and is believed to have been hugely influential in the shake-up of the Republican’s transitional team. Although Blair could not join the White House, technically he could advise the administration. Blair, who quit his formal role as a Middle East envoy last year, has known Kushner for “several years,” according to the Telegraph. He stepped down as British prime minister in 2007. When in power, he shared a close relationship with Republican President George W. Bush. Since leaving office, Blair has had roles advising various questionable leaders and organizations worldwide. However, Blair’s team has insisted there is no truth to claims he angled for a role with the president-elect. “Tony Blair has known Jared Kushner for several years. Blair was walking past their lunch table. He knew a number of people at the table and he was invited to join them,” Blair’s spokesperson told the Telegraph. It is believed Blair and Kushner were introduced through media mogul Rupert Murdoch and his then-wife Wendi Deng. Deng, who is said to have become infatuated with Blair while married to Murdoch, is a close friend of Ivanka Trump. 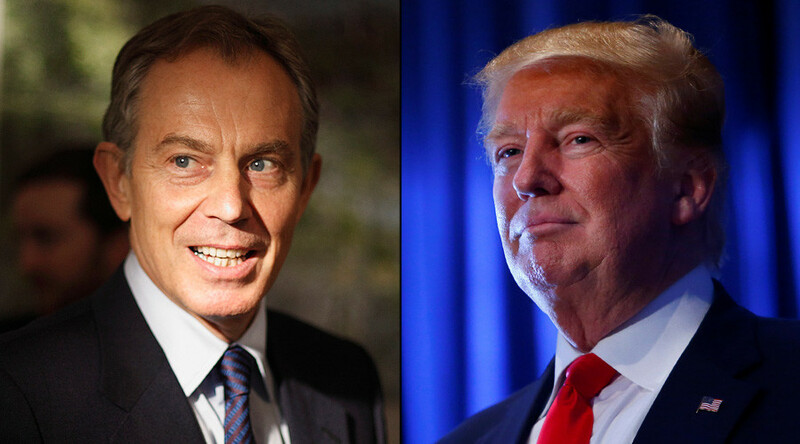 Blair has previously said Trump’s win over Democrat Hillary Clinton marks the beginning of a new “reality” which had triggered a political “earthquake” throughout the Western world. He had backed Clinton. Speaking to CBC News, Blair said: “I won’t pretend to you I wasn’t surprised by what has happened over this past period, because I am, and what it means is not entirely clear to me yet.